Daniel Wagner’s Masterclass on 2016 Dry Rizza from the Rheinhessen! Daniel Wagner, known as Mr Riesling, is making heart racing Riesling. Simply delicious! After our Riesling offer ‘Finding the Perferct Balance’ looking at Kabinett and Trocken or off-dry and dry Riesling. We’re upping the game to GG level with Wagner-Stemples Höllberg, Herkretz and Porphyr. After two years of hard graft in 2013 and 2014, 2015 brought welcome relief to the Rheinhessen offering near perfect conditions. Daniel delivered an exceptional crop of wines. The wines are rich and full. Read the full 2015 Vintage report here. Daniel Wagner's Masterclass on 2016 Dry Rizza from the Rheinhessen! The most complex Riesling in the communal wine series is that from Siefersheim, sourced mainly from the HEERKRETZ site. The wine has a tremendous array of aromas, and is the communal wine that is most expressive and powerful on the palate. Part of the reason for this complexity lies in the excellent vineyard sites, but also in the fact that the wine is a blend of batches fermented in stainless steel tanks and 600 litre barrels, with some batches using cultured yeasts and other wild yeasts. The „Porphyr“is always the herbaceous representative among the communal wines. Aromas of linden flowers, camomile and sage define the nose, as well as notes of yellow and exotic fruit. This year, the acid bite is much less evident. On the palate you can expect to find the mineral notes, reminiscent of sea salt, typical of the ‘Porphyr’. We often get seduced by opulence. 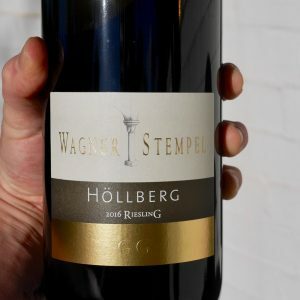 Daniel's 2015's from sites yielding some of the ripest fullest fruit in the Rheinhessen certainly have such seduction. The 2016 Porphyr, beautifully balanced, it rests toward the acid side of the scales, with a touch less alcohol, taming rich lucious fruits. Such a sophisticated wine of great line and length. The idea behind site wines, generally spoken, is taking a product back to its origin. The grapes for our Grand Cru (Großes Gewächs) from the sites of Heerkretz and Höllberg stem from some few vine sites within an exactly mapped area of our vineyards in Siefersheim. Experience over generations has shown that it is only there that conditions are so favorable as to create extraordinary, unique wines from the Riesling grape. The craftsmanship in producing these wines of utmost quality requires a maximum of diligence and discipline. There are many examples for tasks that make it necessary to perform just a little extra, to invest just a tiny bit more effort. In the bottom line, a performance is needed that yields not only very good but outstanding results – to produce wines at the top of our assortment that are just as original as Parma ham or Scotch whisky. Unique, individual and related to their origin. Once again this year, the HÖLLBERG is, next to the HEERKRETZ, the appealing wine, although clearly leaner than in the previous vintage, and with less strident acidity. After extensive aeration in the glass one notes particularly exotic aromas, pawpaw, guava, melon, pineapple and ginger, as well as refreshing citrus notes such as mandarin peel and lemon balm. 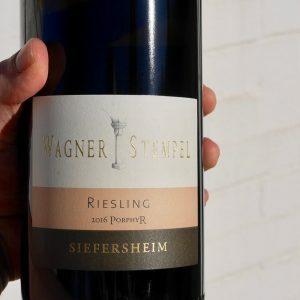 In spite of its full body, the wine also has tremendous length, which is supported by the sea-salt minerality that is so typical for Siefersheim. In fact, the full body is composed of creaminess, fruit extract, pleasant freshness and intense aromas of exotic fruit. Once again this year the HÖLLBERG is a really juicy show Riesling, although not as powerful as in the previous vintage. The HEERKRETZ is the Grand Cru with the firmest grip on the palate. The wine shows tremendous herbs and spices, and leaves a grainy mouth-feel carried by minerality and phenolics. A wine that comes alive particularly through its structure, and does not rely only on its smell to enchant. The first impression on the nose shows smoky aromas. After swirling the wine around for a while, and when the wine warms up slightly, one notes added aromas of menthol, eucalyptus, clear apple, apricots, wild herbs and camomile flowers. This wine, too, is a little lighter in body than in the previous vintage. On the palate one notes that, just as with the “Melaphyr” communal wine, that it is supported less by fruit extract and more by salty mineral notes and iodine. 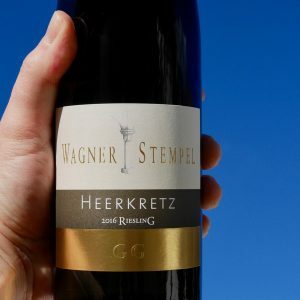 In total, it has less of an acid bite, and less oak aromas than the previous vintage wine, the HEERKRETZ is a classy Riesling that perfectly reflects both the vineyard site and the vintage.